The people of Israel were thirsty, and complained to Moses and God. Even so, God, who was infinitely merciful, again showed His power and love to the people. Moses, upon God’s command, struck the rock, and water gushed out before the eyes of the people of Israel. Then they stayed in Rephidim. They enjoyed the delicious manna every day from heaven, and the fresh water was gushing out of the rock for them every day. They were satisfied, and comfortably camped in Rephidim. Their lives were good. Everything went well, and nothing bothered them. Plenty of food, water and freedom. No more masters to serve as they had to do in Egypt before. The camp was so silent. No complaint or grumbling against Moses and God at all. It was a stark contrast from a few days ago when they could not find water. At that time, they raised their voice, and said, “Why did Moses bring us out of Egypt?” or “Let’s go back to Egypt.” No more. 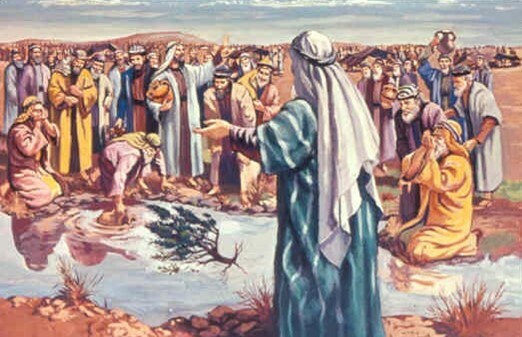 Even a single person spoke up against Moses because they had enough food and plenty of water. However, without noticing, the people of Israel was drifting. They were drifting away from God because their lives were so good and comfortable. This was another form of subtle and delicate challenge against their faith (not physical one like no water or no food to eat). A false complacency was slowly kicking into their lives, and this looseness was steadily being pervasive among all of the people camped at Rephidim. God, who dearly loved them, could not leave them alone. While the people of Israel were comfortably still at Rephidim, suddenly, they were under attack of the warriors of Amalek. The camp immediately became chaotic. Some fled, and others hid from the warriors of Amalek. Indeed, the people of Israel had never expected to be attacked. They thought that they were in peace because they were completely out of the range of the Egyptian army. They remembered most of the Egyptian army were perished when the Red Sea returned to its place while sounding the thundering noise from the collapsing gigantic walls of the water. Then they saw the dead bodies of the Egyptian army. It was the last time that they were really chased by warriors. Now they met again those warries and horses, who tried to kill them. Moses call them calm, and gathered the Israelites. However, not like the Egyptian Army nor the warriors of Amalek, the Israelites had no warriors nor army to fight against the Amalekites’ warriors attacking them. None of them was trained like the attacking warriors. They had no real weapons available either. It was a real disaster. Please think about what would happen between the well-trained warriors of Amalek and the bunch of Israelites without any formal military training. There was no match between two. It would be one sided battle while simply slaughtering the Israelites by the attacking warriors. Yes, the Israelites were just slaves who used to make bricks and serve Egyptians, and just released from the slavery. They were nothing before the warriors of Amalek. Moses quickly prayed to God. Every single person of the Israelites knew there was no one but God who could save them. Please note that for this time, nobody complained. 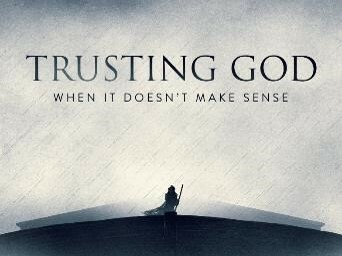 All of the Israelites got united under Moses while completely trusting God. Each family sent young men to Moses to defend against the invading Amalekites. What a change! The people of Israel used to complain whenever they met a challenge situation. They used to argue against God by telling “Why did you bring us out of Egypt? Are you trying to kill us, our children, and our livestock here in this wilderness? We’d rather be in Egypt as slaves.” Yes, before the swords of the Amalek, they were united and together trusted God. Both Moses and the young men gathered to fight knew they were not capable of defeating the well-trained warriors of Amalek. They had one thing – faith in God. Among the young men, Moses saw one particular person, Joshua, who had a great faith in God. He also had an ability to lead people even in the chaotic battle field. Moses quickly trusted Joshua because of Joshua’s great faith along with his leadership. Moses, then, sent him with the young men to fight the army of Amalek with his encouragement in God. a. Moses said “I will stand at the top of the hill, holding the staff of God in my hand.” Moses promised Joshua to continue supporting him by prayer to God at the place plainly visible at the top of the hill so that Joshua and his people could see Moses, who was praying to God with his staff lifted up high. Of course, Moses and the staff raised high were clearly visible to the warriors of Amalek. Moses trusted God with his staff lifted up, thought which Moses experienced God power and mercy many times. Joshua and the young men on the battle field trusted God, who would save them again as God did before the Egyptian army chasing to kill them on the other side of the Red Sea. So Joshua and the young men faithfully followed what Moses had commanded. They fought against the army of Amalek and they fully trusted God that God would surely delivered them. Meanwhile, Moses, Aaron, and Hur climbed to the top of a nearby hill. Moses held up the staff in his hand and prayed. Both sides saw Moses and his hand lifted up high with his staff. When Moses raised up his staff, the Israelites had the advantage. But whenever he dropped his hand, the Amalekites gained the advantage. Moses’ arms soon became so tired he could no longer hold them up. So Aaron and Hur found a stone for him to sit on. Then they stood on each side of Moses, holding up his hands. So his hands held steady until sunset. 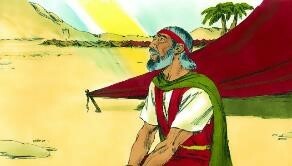 (Exodus 17:12) It was a long day for Moses, Aaron, Hur, Joshua, and the Israel’s young men. All of them were together in one faith, and they fought together having the same faith in God. As a result, Joshua overwhelmed the army of Amalek in battle. 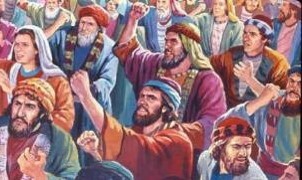 (Exodus 17:13) It was the first victory for the Israelites, and a great one. They could not believe what happened. They for the first time defended themselves by defeating the invading Amalekites. The great joy was prevail in the people of Israel, not because they received something from God out of their whining before God, but they together believe God and together they defeated the invading warriors in unity. God, who is full of grace and mercy, always watches over His people. God led the Israelites with patience and love. When they need water, God provided. When they were hungry, God provided manna. When they were invaded, God gave the victory. What God wanted was to have faith in Him rather than complaining. For the first time, the Israelites did. They united in faith, and received the huge victory against the enormous odd – the warriors of Amalek vs. a bunch of young men who never had any military training. Because they believed, God provided. 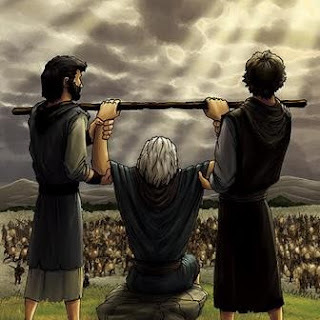 The Moses’ prayer and his two helpers never stopped till the sunset. God answered. Our God has never changed. He carefully watches over us always. When we believe, God provides. When we pray, God answers against all kinds of odds because Our God is greater than the world. Give thanks to God for His faithfulness! His name will be praised from the lips of those who are faithful from now and forever. Oh, God of Mercy! Please Hear My Prayer. The people of Israel experienced God’s hand again in wilderness of Sin. Nobody expected that they could have food in the middle of the desert. The number of the Israelites was about 2,000,000, and feeding them to their satisfaction was an impossible task to their eyes. Before this reality perceived by them, they doubted God, and they complained. They even suggested to go back to Egypt as slaves rather than dying in the middle of desert. Going back to Egypt as slaves was a logical choice for their eyes. Unfortunately, they had no faith to God, who brought out of Egypt with miracle after miracle. They were really stubborn and slow to trust God. They believed something that they could see and touch, rather than believing and trusting God, whom they could not see. Moses prayed to God, and again and again, God patiently answered and provided what was needed. Yes, God was always faithful to them. Like a loving parent, God pampered them with love. Atthe LORD’s command, Moses made the whole community of Israel on the journey to the Promised Land again. They left the wilderness of Sin and moved from place to place. Eventually they camped at Rephidim. During the journey, they gradually forgot what God did to them. They found there was no water for the people to drink. So once more the people complained against Moses. “Give us water to drink!” they demanded. Moses, who had been always calm before the people of complaints, was finally agitated. For this time, Quiet!” Moses replied. “Why are you complaining against me? And why are you testing the LORD?” He shouted back to the complaining Israelites. They became quite, but their calmness did not last. Moses cried out to God. For the first time, Moses could not bear with their lack of faith. 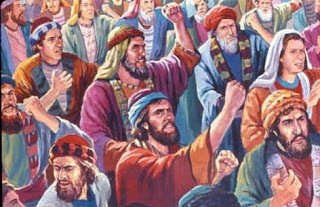 Now, Moses became sick and tired of the Israelites. They simply did not remember God’s mighty hand and always complained. Moses heard enough. His mouth lost his affectionate word of “my people.” He called them “these people.” We all know Moses used to boldly proclaim before Pharaoh, “Let My people go.” To Moses, the people of Israel became just a bunch of people full of complains with zero faith. 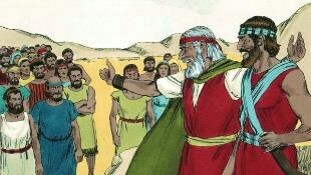 Moses, the most meek person on the face of the earth (Numbers 12:3), could not stand up with the people of Israel anymore. Moses was completely worn out by these people! How did God respond to Moses? God saw Moses needed His encouragement. God reminded the powerful experience in God. When Moses struck the water of the Nile, the entire Nile was turned into red blood. Moses closed his eyes. His mind suddenly moved to the very place where he struck the water of the Nile. He was even able to smell the Nile and hear the people around him, who were amazed at the God’s miracle. It was one victorious moment, and his heart truly experienced the power of the God. He was thrilled before God’s mighty finger. He knew at the moment the same almighty God was with him. God also saw Moses, whose strength was completely drained out. Moises, one single human being, had been leading the 2,000,000 people, who frequently complained for virtually all circumstances. God saw his needs of helpers. God chose helpers from the elders of Israel to join Moses. Yes, having helpers hand-picked by God was an enormous relief for Moses by bearing together the burden of leading “these people.” However, the helpers could not replace one thing. Although they were specially chosen people by God, they were still mere human beings – fragile, being getting tired and worn out like Moses. We all know Our God is not. To Moses, what truly mattered was whether God was before him or not. God knew Moses’ heart, and God said, “I will stand before you.” What a comforting news to Moses! The God with Moses has not been changed at all. The same God is with us. Sometimes, we are getting weary, tired and worn out, especially while doing God’s work or following the footsteps of Jesus Christ. Everything is getting against us, and some of them speak ill of us as if they tried to stone us. Our patience becomes wearing as thin as paper. Then what can we do? Just come to God like Moses. Open our hearts, and authentically tell our problem and pain to God. God hears every word of our prayer as He did to Moses. God does not stop there. God, who could see through Moses’ heart, mercifully answered to our prayers with His infinitely goodness. God surely shows His compassion, encouragement, and helps us while standing before us as He did to Moses to protect and guide to His infinitely good will. Therefore, let’s approach God with confidence through authentic pray in our contrite hearts. God will answer to our prayers as He did to Moses. Then also prepare for something extraordinary that only God can do, as God commanded to Moses. Do what God tells us to do. As Moses did, do not doubt, and turn into an immediate action – hitting the rock with staff as God commands. Let's together believe in God, and do what God commands, which pleases God. God Tenaciously Loves Us. Why? He Is Love. The people of Israel experienced God’s hand again in Marah. They found the water in Marah after three day’s walk through the desert under the bone-dry hot sun. What they found was the water too bitter for them to drink. They complained and turned against Moses and God. Moses, who was faithful to God, cried out to God for help. God answered. God showed Moses a piece of wood. Moses threw it into the water, and this made the water good to drink. Indeed, God provided an opportunity to test (i.e., verify) their faithfulness to God, but they failed. Although they failed, God, who was merciful, made the water good to drink. Then God warned them again, “please listen carefully to the voice of Mine, your God, and do what is right in My sight, obeying My commands, and keeping all My decrees.” (Exodus 15:26a) And they all said "Yes". After leaving Marah, the Israelites traveled on to the oasis of Elim, where they found twelve springs and seventy palm trees. They camped there beside the water. 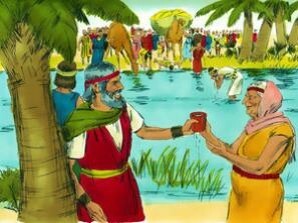 They were fully satisfied by the plenty of the water of the oasis of Elim. They were happy. They all praised God because God provided plenty. Their faces were full of happiness and their hearts were completely satisfied. No complaint could be heard from any of the people of Israel, because they were satisfied. Specifically, they were all physically satisfied because materially they were blessed. They did not know this fact. Then the whole community of Israel set out from Elim and journeyed into the wilderness of Sin, between Elim and Mount Sinai. They arrived there on the fifteenth day of the second month, one month after leaving the land of Egypt. That means, it was less than a month since they miraculously crossed the Red Sea. Less than one month period, they complained twice – before crossing the Red Sea, and after three days of crossing the Red Sea when they arrived in Marah because the water in Marah was too bitter. For both cases, God stretched out His mighty hand, and protected the people of Israel -- making them walk on dry land through the Red Sea, and turning the bitter water into water good to drink. Yes, God was slow to anger and truly compassionate to the people of Israel, although they complained whenever there was a chance to complain rather than trusting Him. God, who was faithful, continued leading the people to the Promised Land. By that time, the people of Israel should have had learned and know about God, who was their patient and faithful God. God dearly loved the people of Israel. There, again, the whole community of Israel complained about Moses and God! “If only the LORD had killed us back in Egypt,” they moaned. “There we sat around pots filled with meat and ate all the bread we wanted. But now you have brought us into this wilderness to starve us all to death.” (Exodus 16:3) How impossible were they! Their mouths were quick to complain, and their hearts were like chaff shifted by wind. As wind blew, their hearts were so easily blown away from God, and they asked for the miserable land of slavery only because their journey to the promised land was not easy. When they felt that the environment was too harsh, they were quick to complain by fixing eyes on what they saw. Instead they should have fixed their eyes on the promise of God while continuing walking as God guided. They did not. Let’s pause here and ask to ourselves: how would we respond to them if you were God? Here is what God did to the people of Israel. 1. God was patient. He was truly slow to anger and compassionate. 2. God provided, and what God provided was beyond their imagination. a. Bread from heaven like rain every day (from that day for the next forty years!) Who would think about this possibility when they complained? What they saw was a desert or a barren land. When they looked around, nothing. 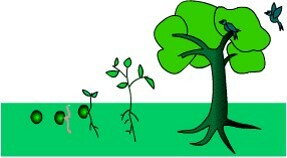 There was a zero possibility that edible crops were growing fast to feed them. They knew that it was IMPOSSIBLE to feed in the middle of desert. The total number of people could be as many as 2,000,000 because the number, 600,000 only counted men alone. This was the reason why they complained. They even insisted that it would be in Egypt as slaves. As slaves, they thought that at least, they could not die by starvation. This train of thoughts made them really mad. They complained to God. a. God miraculously provided daily food from heaven. Then on the sixth day, God gave them twice as much as usual so that they can gather twice of food. Then they could rest on the seventh day, i.e., the Sabbath as God rested after His creation. TThat evening vast numbers of quail flew in and covered the camp. And the next morning the area around the camp was wet with dew. When the dew evaporated, a flaky substance as fine as frost blanketed the ground. The Israelites were puzzled when they saw it. “What is it?” they asked each other. They had no idea what it was. 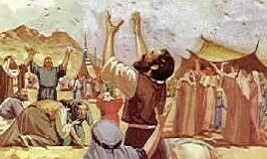 Since then, the people of Israel called the food manna, which means “what is it” in Hebrew. It was white like coriander seed, and it tasted like honey wafers. In desert, they ate the heavenly food from God, which even so sweat and delicious like honey waters! Who did think about such food available in the desert for the 2,000,000 people over night? It was the power of the God. GGod dearly loved the people of Israel. There is no other reason, but they were His people. God, who does not have a rotating shadow, is not like any human beings on earth who has a shadow and rotating with the sun. God has never changed and will not change forever. The same God, who dearly loved the Israelites with one reason of being His children, dearly loves us due to the same reason – we are His children. Yes, God loves us because we are His children. Not because we are righteous, God loves us, but because God Himself is love. How do we know that God is love? 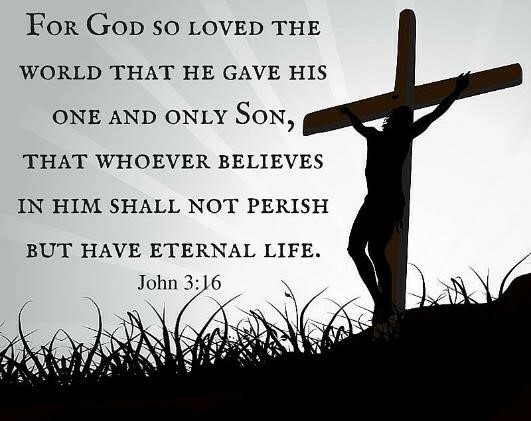 God demonstrated His love on the cross by sacrificing His only begotten Son, Jesus Christ for us, and through the blood of Jesus Christ, all our sins are forgiven. Thus, we, now, can approach God without fear and with confidence through the precious blood of Jesus Christ. Yes, we have been failing before God. Like the above Israelites, we easily forget God’s miraculous salvation from our sins and His faithfulness toward us. Even so, with unfathomable patience and grace, God always opens His loving arms, and He is waiting for us to come to Him so that He can embrace us in His bosom. This is the love of God. Come and take rest in His bosom, and taste His mercy and grace. Most of all, please enjoy His precious gift of eternal life of being His eternal children through Jesus Christ in the blood of Jesus bled of our sins on the cross. 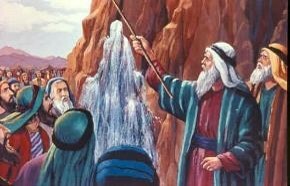 Despite of their complaints, God took the Israelites to Marah and gave water to the Israelites. However, the water was too bitter to drink. It was a test. In fact, it was an opportunity provided by God for them to realize how pitiful and sinful their hearts were. What did happen? They miserably failed. Without knowing God’s intent, they grumbled against Moses and God. They did not wait for God’s mercy and His mighty hand that they had experienced three days ago. Yes, only three days, not one month or a year. 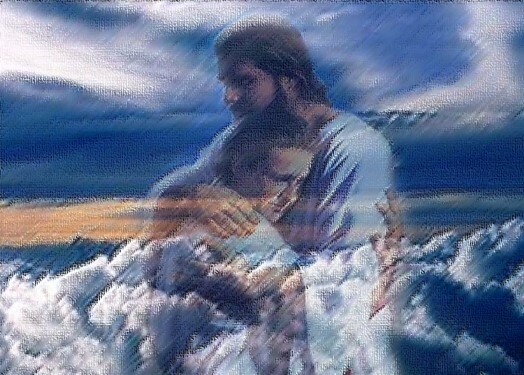 As their environment was getting worse, they should have had remembered God’s mercy, and clung to God’s mighty hand. Instead their eyes were fixated to the “reality” -- dying for thirst. Yes, indeed, they were really in pain. Their mouths were completely dried. Their hope for the water in Marah was completely false. It was too bitter for anyone, even the Israelites who were not able to drink water three days under the hot desert sun to drink. Sure, grumbling against Moses and God was understandable under such circumstance. However, this did not make them pass the test. They failed the test, because they did not and could not trust God completely. What they see did not match with what they expected from God. Indeed, nobody can be above a harsh “reality,” if one tries to overcome it by one’s own might. However, our story does not end here, when our sad, pitiful and fragile nature does not completely trusting God. For the grumbling Israelites, who completely failed without knowing God’s true intent, God made the bitter water sweet to reveal God’s love on them. Through anther life miracle, they could rediscovered God, who was with them, for them always to protect and guide. Surely, we will fail like the Israelites, but we have our unfathomable assurance in God. God was infinitely patient for His Israel people – failing and falling short of what God wanted. Today, the same God is unfathomably patient to us. Although we fail and fall short of what God really desire in our lives, God is patiently with us and for us, because God dearly loves us. Even God said “… I am a jealous God …” (Exodus 20:5). God jealously loves us. Why? After all, He is love. Yes, our God is love. What can we do? Before Him, we bow down ourselves while laying out and presenting all we have – our failures, successes, pains, and joy, and most importantly ourselves as who we are. He is worthy of our highest praise, and He is our one and only true love. Praise Him! Glorify Him! He is Our Ever-Loving Father from now and forever for those who trust in Him with all hearts and with all our souls, and with all our mind.